OXNARD — The Ventura County Board of Supervisors unanimously approved a lease option on Nov. 10 to pave the way for the complete renovation of Fisherman’s Wharf at Channel Islands Harbor. 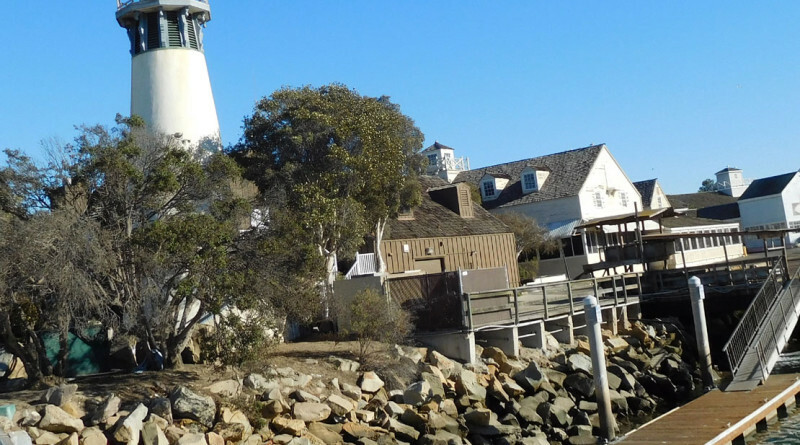 “The action was a 5-year lease-option agreement with Channel Islands Harbor Properties (CIHP) who plan to redevelopment the old Fisherman’s Wharf site with new shops and restaurants,” said Harbor Director Lyn Krieger. This is the third investor in the past eight years to attempt to revitalize this area of the harbor. The once bustling Cape Cod style property, located on a high traffic corner of Victoria Ave. and Channel Islands Blvd. across from Naval Base Ventura County, has been in disrepair for more than a decade. During the economic downturn the property was in stasis for five years, and then a second developer started the process and opted out, before the county entered a new Exclusive Right to Negotiate with CIHP in July 2014. “The 11.4-acre parcel will be completely razed with all new construction that will include 25,000-square-feet of commercial and retail space. In addition, about 375 apartments will be built southward of the commercial and retail space. Per the supervisors’ request, the proposal is amended to include a family-friendly park of about 1 acre,” Krieger explained. The developer must also build a waterside promenade and restore the iconic lighthouse. The agreement provides for up to five years for the investor to secure all the necessary financing, permits, insurance and bonds to begin construction. If all conditions in the proposal are met, the board also approved a possible ground lease for up to 65 years. The general tenor from the public was their opposition to the inclusion of building residential units. “Why apartments? They allow for financing to support the sustainability of the project,” said Tom Tellefsen of CIHP. Harbor lessees who attended the Nov. 10 meeting said they were in favor of the proposed redevelopment. The option is effective for two years and can be extended one year at a time for up to three years as long as the developer is making diligent efforts and progress toward the stated requirements. CIHP is in the process of setting up public input meeting between now and year’s end. “We are happy to have this new investor group step up to the plate with their knowledge and experience and capitol to move this much needed project forward,” Krieger said. The project will need approval from the California Coastal Commission, the city of Oxnard and other agencies. Reprinted: The provisions for revenue once the apartments are built and rented gives a big break on the rental? Why? The developer is paying nothing practically during the option period and does not need this kind of rental break. Great question, answers needed!